LG has confirmed that it is releasing a second flagship this 2015 but not the super premium smartphone earlier hinted. The rumored LG G4 Pro, nonetheless, will pack specs and features that will make it a 2015 flagship killer. Whispered too as the maker of the LG Nexus 5 2015, the South Korean tech firm clarified that super premium was not actually used when the G4 Pro was first teased, G4Games said in a report. The more appropriate description for the LG G4 Pro is a flagship killer as it will showcase a number of features not present on the competition, which include the Apple iPhone 6S Plus, the Samsung Galaxy Note 5 and the Google Nexus 2015. The G4 Pro screen stretches 5.8-inch with an IPS-LCD display, Phone Arena said in a separate report. Firing up the device is Snapdragon 810 with up to 4GB of RAM. While it was initially rumored that SD 820 is the likely G4 Pro main engine, the chip is unlikely to debut until the first half of 2016. It appears too that not rocking the SD 820 is the main reason that LG deliberately shuns away from the super premium label. It is understood as well that the G4 Pro is not exactly premium-built, its finish mostly taking a direct leaf from the LG G4. But what exactly will make the LG G4 Pro the ultimate flagship killer, overwhelming the likes of iPhone 6S Plus, Moto X 2015 and Google Nexus 2015? Reports from South Korea are indicating that at least on the camera department, the G4 Pro is a smartphone in steroids. Boasting of a dual camera system, the LG G4 Pro will be the first of its class, Korean media reports said. Dual camera set up was earlier attributed to the upcoming iPhone 6S and 6S Plus but latest details on the devices indicate otherwise. If indeed the G4 Pro will deliver what Apple has decided to skip this 2015 then the former will outpace its rivals by with a smartphone camera that practically is equal with a DSLR shooter. 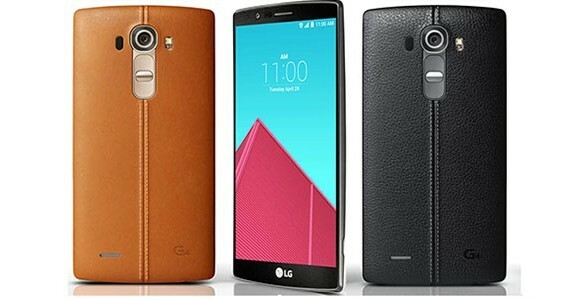 LG is saying that the LG G4 Pro, super premium or no, is all geared for a fourth quarter 2015 release date, likely between October and November. The company is mum on rumors that its second flagship is lined up to be repurposed as one of the Google Nexus 2015 handsets.